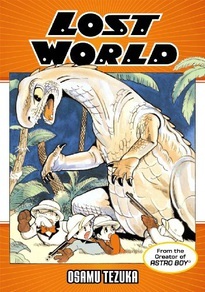 From the creator of Astro Boy and Metropolis, comes Lost World, the first of Osamu Tezuka's cycle of original science-fiction graphic novels - including Metropolis and Future World - published in the late 1940s and early 1950s. When a rogue planet approaches Earth, a team of scientists voyage to the world and discover a land out of the ancient past - a planet populated by dinosaurs! But a group of crooks has stowed away aboard the spacecraft, and the scientists must fight for their survival against both crooks and hungry monsters! A dazzling work of imagination - and guest-starring some friends you may recognize from Astro Boy - Lost World is timeless graphic fiction from one of the medium's true masters.